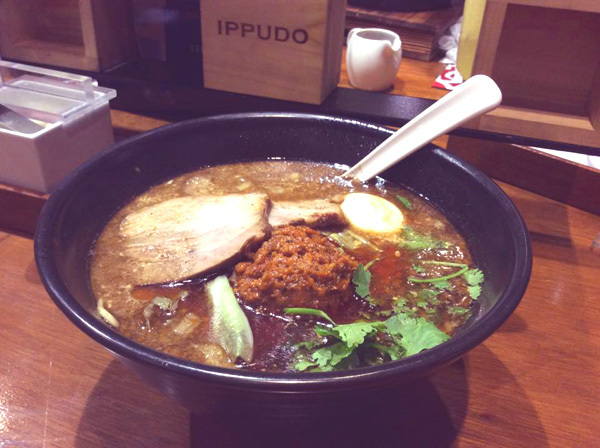 If there is a concoction composed of Indian, Malaysian and Chinese influence inspired by Singapore’s complex cuisine, Ippudo’s Spicy Black limited edition ramen would be a bowl of spicy Asian dish. Soup person by heart, this type of dish would always be a comforting food for me. There were times that I even set aside a pork or chicken broth, play around with herbs / spices mix it with noodles then topped anything available like egg or tofu. To have a kick, poured some chili oil and voila, I’m done with a simple treat eating my heart out. One of my fave is Ramen that is well-known as Japanese noodle soup dish. 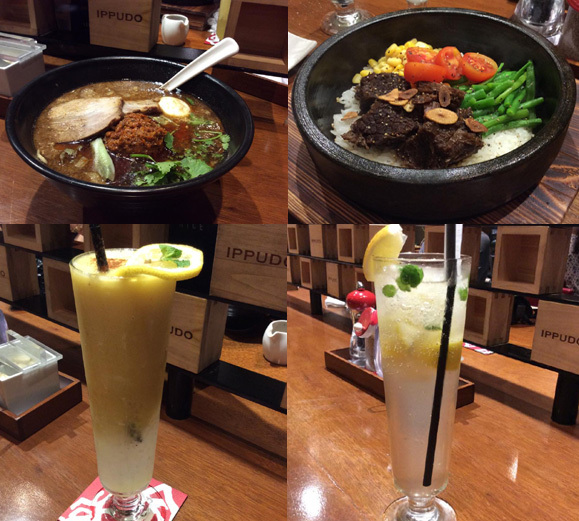 But if there is a concoction composed of Indian, Malaysian and Chinese influence inspired by Singapore’s complex cuisine, Ippudo’s Spicy Black limited edition ramen would be an extra-ordinary bowl of spicy Asian dish I would like to try. //embedr.flickr.com/assets/client-code.jsWith Ria of Sugar Smile for a private tasting activity, the said ramen is spicy indeed – from the pouring of sesame sauce, Koyu oil and even the curry flavored nikusimo. Best part, the signature enhanced tonkotsu broth is still a flavorful milky soup. Mixed with the flat noodles and pork belly top with cilantro oozes the fresh flavor experience. But beware, one must be so tolerable to heat once you started to sip in to appreciate the whole eating rendezvous. 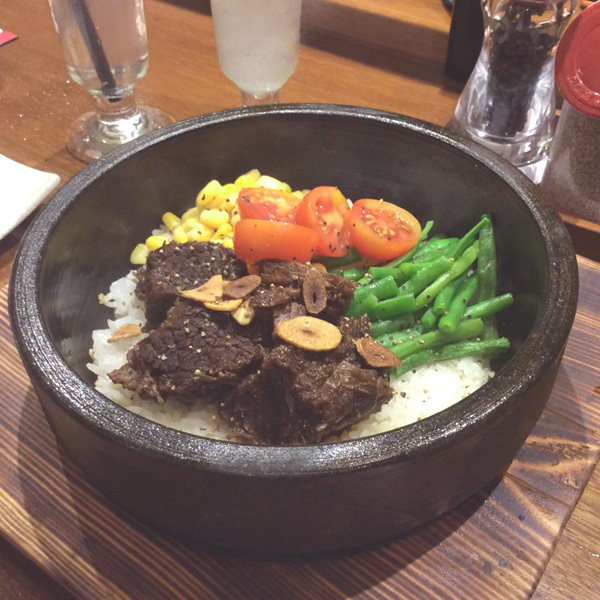 Another worth a try is the Beef Ishiyaki Rice served in a hot stone pot that has a stewed beef with corn, cherry tomatoes, crisp garlic chips, french beans in a melted butter on a bed of Japanese rice. One has to mix everything to compliment the rice meal. You have to pour in the Yakiniku sauce for a sweet blend and sliced the beef into pieces to make it more flavorful. After that, one can already eat its own – complete without sacrificing the quantity. Mango Banana Smoothie when combined are the best. 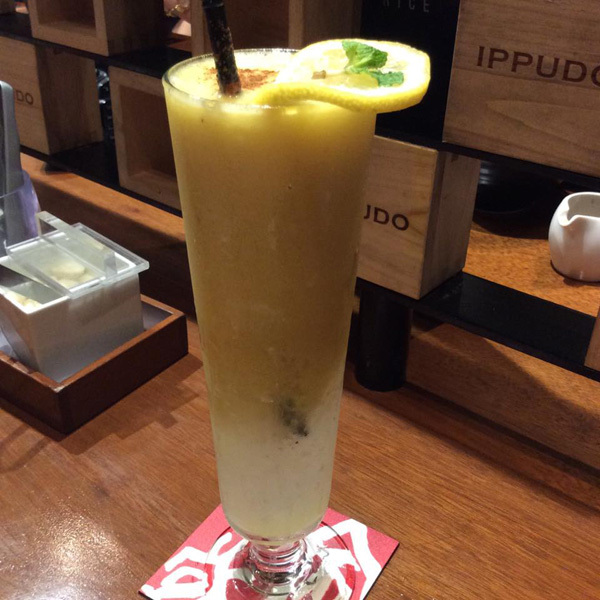 This drink can cool you down and it is very refreshing. Included are coconut cream and cinnamon that balance the flavor with the right sweetness. 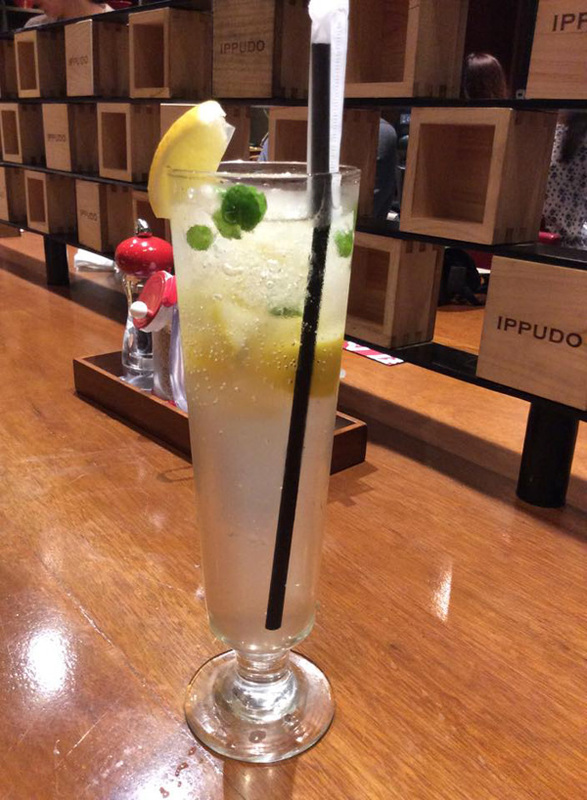 Lemon Spritzer is a freshly squeezed lemon and sparkling water that leaves a refreshing tartness with the herbal aroma yet not overpowering taste of the mint leaves. Overall, these new dishes are a come-on aside from their famous Ippudo Ramen – something to look for when someone is already looking for another variety of comfort food.